Es un hecho, que a día de hoy, las altmetrics se vean como una herramienta útil para complementar los indicadores tradicionales basados en citas. 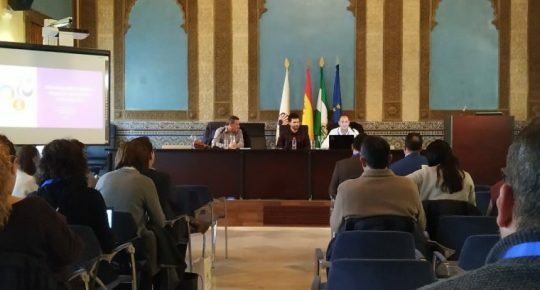 Sin embargo, ningún estudio se ha centrado en su potencial para captar el impacto de los libros académicos. 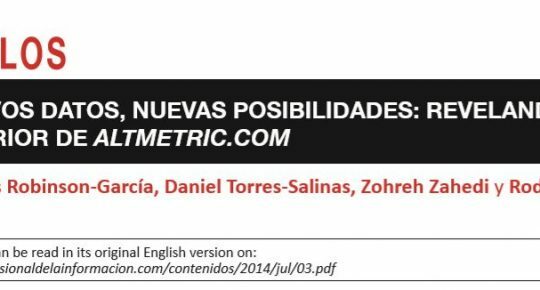 Nuestros queridos compañeros Daniel Torres-Salinas, Nicolás Robinson-García y Juan Gorraiz, han elaborado un estudio, aceptado para publicación en la prestigiosa revista internacional Scientometrics, donde revelan el impacto multidimensional del libro académico a nivel institucional con la suite bibliométrica PlumX. 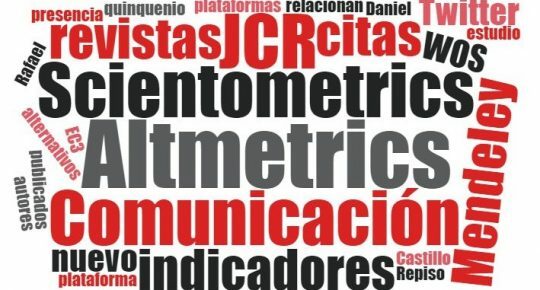 En este trabajo se calculan 18 indicadores que van desde altmetrics a colecciones de bibliotecas, vistas, descargas o citas de la producción de monografías de una universidad española utilizando PlumX de EBSCO. El estudio confirma el uso de esta herramienta, como la más prometedora para el análisis del impacto del libro. More than five years after their emergence, altmetrics are still seen as a promise to complement traditional citation-based indicators. However, no study has focused on their potential usefulness to capture the impact of scholarly books. While recent literature shows that citation indicators cannot fully capture the impact of books, other studies have suggested alternative indicators such as usage, publishers’ prestige or library holdings. In this paper, we calculate 18 indicators which range from altmetrics to library holdings, views, downloads or citations to the production of monographs of a Spanish university using the bibliometric suite PlumX from EBSCO. The objective of the study is to adopt a multidimensional perspective on the analysis of books and understand the level of complementarity between these different indicators. Also, we compare the overview offered by this range of indicators when applied to monographs with the traditional bibliometric perspective focused on journal articles and citation impact. We observe a low presence of altmetric indicators for monographs, even lower than for journal articles and a predominance of library holdings, confirming this indicator as the most promising one towards the analysis of the impact of books.